E-cigarettes are a relatively new device, and the regulations around them have changed a fair bit recently. The rules around these gadgets also differ from state to state around Australia, although they are gradually all coming around to the same set of rules. So what do you need to know about the law before you take up vaping? Generally it is illegal to sell, buy and use e-cigarettes (or the liquids for them) that contain nicotine in Australia. In Queensland, South Australia and Western Australia it is also illegal to sell products that look like cigarettes or cigars – so you need to be careful that your e-cigarette does not look too realistic. The devices are not outright banned, however, so you can still vape. In New South Wales, Queensland, Victoria, Tasmania and the ACT vaping is counted as smoking (despite not containing nicotine) and is not allowed anywhere that smoking regular cigarettes is banned. This means that you cannot vape in outdoor eating areas, shopping centres, sports grounds, playgrounds or on public transport (and any other non-smoking areas). They also cannot be advertised or displayed at retail outlets, which is why buying your e-cigarette and the liquid online is a good idea – you can see what is available! Because of this it can be difficult to vape in these states, particularly when you first get started and don’t know where to go to get the device or find new flavours to try. You will need ID on you as well, to prove you are over 18. South Australia and the Northern Territory are considering amending their smoking laws to bring the treatment of vaping into line with the other states as well. 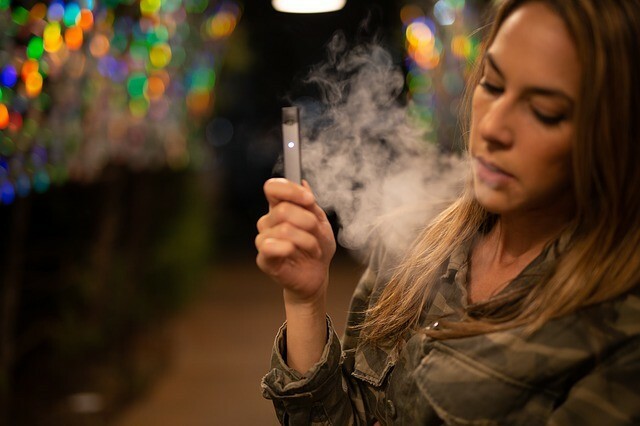 If you aren’t sure what the rules are around vaping, it’s generally safest (as well as polite) to only do it in places where tobacco smoking is allowed – especially in private venues or near people who are not vaping or smoking. If you are caught vaping in a non-smoking area in the states that treat vaping and smoking the same way, then you will be subjected to a potentially heavy fine. In NSW, for example, the penalty is up to $550 – more if you are in a non-smoking area at a private venue and have already been asked to stop. Due to regulations around displays and advertising it is difficult to obtain and use e-liquids, and you can’t use any liquids with nicotine in them (although you can still get tobacco flavoured e-liquids). In Queensland, South Australia and Western Australia it can also be very difficult to buy e-cigarettes or e-liquid, as they may resemble cigars or cigarettes too closely. If you are a vaper or want to get into vaping then you don’t need to worry too much about the laws around selling or advertising e-cigarettes and liquids, as you can just assume that when you buy the products in Australia the retailer is following the law. It’s still handy to know the rules, though, when you are looking for places where you are likely to be able to buy supplies.